A few weeks ago Hometalk contacted to say they loved my post on beautiful floor designs over at Hometalk and would I put together a clipboard for their site. I love great floors and I love Hometalk! I said YES! Why wouldn't I? Hometalk is full of great ideas! If you haven't heard of Hometalk, you should wander over there. It is serious fun for anyone who loves DIY. Just like Pinterest it has thousands of ideas to copy and share. One great feature at Hometalk is if you get stumped, you can always ask a question and there is always someone willing to offer advice. 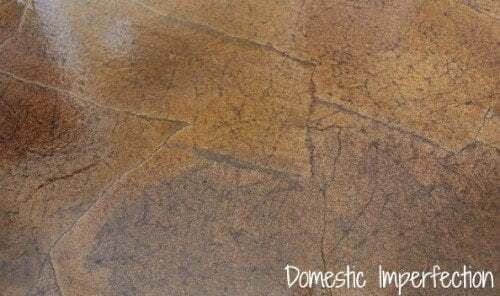 I've curated 15 DIY floor design ideas - some of them you have seen on blog posts on painted wood floors, or using stencils on floors - and painted concrete floors. But there are quite a few new floor ideas featured, from a wide range of contributors. There are ideas on floor paint colors, advice on concrete floor paint, decorative concrete floors and even painting underlay to look like hardwood floors. Pretty amazing! 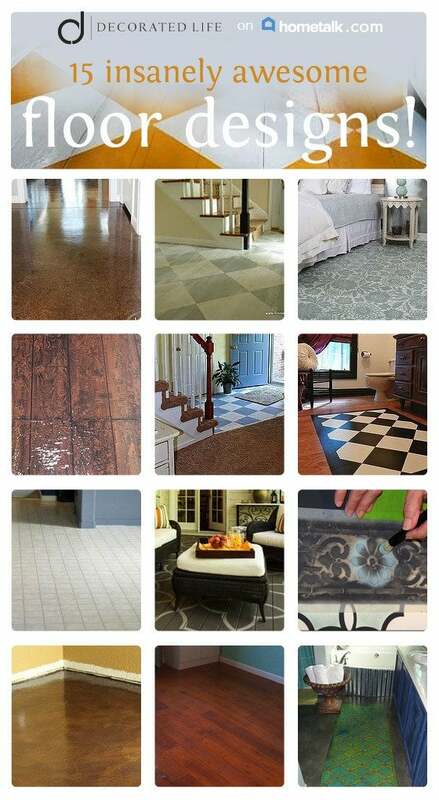 These great floor ideas are from contributors on Hometalk in a great mashup. 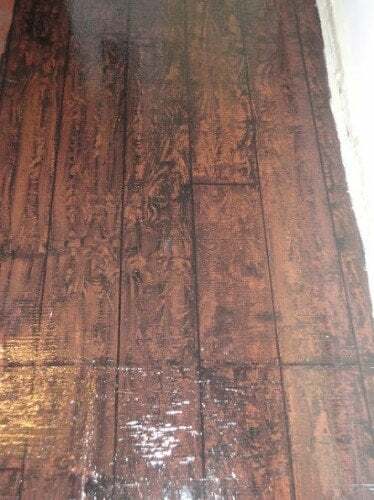 It's not just pretty pictures with instructions, and in some cases, links to tutorials on how to paint floorboards, how to paint linoleum (and stencil it for a tiled look), paper bagging floors and even painting your plywood sub-floors to get a vintage look like the one below. I think it looks great. The cost was only $120, took 2 years and after 2 years its is still in great condition. This Paper Bag Floor only cost $80! So, if you are up to the challenge there are some truly inspiring ways to spruce up your floor without spending a lot of money. I'm sure there is a painted floor idea that will be perfect for you to try. Or what about this painted rug look for your bathroom - its different to white painted floors, isn't it? Choosing the right paint means you have paint your floors in high traffic areas without damaging your floor paint. So, many great ideas to make over your floors. And so many of these ideas are inexpensive - compared to getting someone in to do them - or getting new floors. Thanks again to Hometalk for asking me to curate floor designs.. hope to do it again soon. Get the full post over at Hometalk for more floor ideas; its called Inspirational Floor Designs. This is really inspiring for me - I've been looking for some really cheap ways to do up my place, which I am renting and this fits the bill. Great ideas here - I haven't heard of Hometalk before so will definitely check it out. You had me at $80 for a floor! My floors are so dark - I think painting them white could be a great idea. Heading over to Hometalk now. Love this! I'm at Hometalk all the time.. congratulations for curating for them - Christine - mini coup for you!